The role of fullback has never been the most glamorous of positions on the field. You never read about Tony Hibbert in the Sunday supplements or see Leighton Baines in the latest issue of Hello magazine. Ashley Cole admittedly appears regularly in the gossip columns but that’s more to do with a sympathetic general public doting on his ex-wife than any X-factor that the player himself possesses. When was the last time Stephen Carr appeared on The Graham Norton Show? Come to think of it, when was the last time any fullback appeared on A Question Of Sport? As always, many a truth is said in jest as I can testify with my own twenty-year amateur-playing career. Most weeks I was the 9th or 10th best player in the side and I usually played either left or right back. Sometimes, even the goalkeeper was a better outfield player than me, but that’s more about my own shortcomings than that of the position itself. The original role of “Full Back” was literally to play as the last line of defence, with two out-and-out stoppers playing behind the three half-backs, or midfielders in today’s money, who themselves lined up behind the attack consisting of two wingers, an inside right, an inside left and a centre-forward. It was only with the advent of a more defensive game and the four-man defence that what we consider the modern fullback finally emerged. The main task in those days was to stop the opposing wingers, often man-marking them out of the game, or at least trying to; and failing that, injuring them. So long as the tricky wide man was dealt with, one way or the other, to the point of nullifying them completely, that was job done to the fullback of the day. With no substitutions allowed, curtailing the opposition’s main creative threat was underhand, yet also understandable. The Italians were particularly adept at this, yet most defenders in the fifties and sixties were card-carrying members of the “letting them know you’re there” school of thinking … not that there appeared to be much actual thinking going on at the time. When teams started playing without wingers and the attacking thrust was focused more through the middle, with either the forwards dropping deeper or the midfield pushing further up, effectively the now traditional defensive fullbacks became passengers. They no longer had a man to mark, yet they were rarely given the ball and urged to push on. Either they were lacking the technique or the craft to use it effectively, or their teammates didn’t trust them. Maybe their colleagues just didn’t even consider the possibility of passing the ball back or square to bring them into the game in the first place? To address this lack of balance in the line-up, some sides then went for a back three, with the sweeper particularly popular on mainland Europe. This heralded the emergence of the more attacking wingback, often by converting a wide midfielder to a slightly more defensive role. The ebb and flow of tactical theories and strategic systems down the years has forced the fullback to evolve further and more quickly than perhaps any other position on the field of play and yet the specialists playing in those slots aren’t held in such high regard as, say, the defensive midfielder? Indeed, the “Makele” role, as it’s become known, seems to be absolutely crucial for most sides in the modern game. Some teams field two of them for added security, while Manchester City regularly line-up with three and still can’t keep the opposition out. Physically, the fullback has one of the most demanding roles in the game. Up and down the pitch, attacking and defending, marking and then looking for space for himself, before placing the perfect ball on the target man’s forehead … and that’s all in the space of a few minutes. The role is more important than ever in today’s football: a combination of defender, winger, midfielder, long distance athlete, sprinter and often a long throw specialist as well as spending half the match closest to the dug-out, which usually means they need to be able to pass on instructions to the rest of the team as well. In the modern era, it was perhaps Cafu who personified the new fullback, despite the plaudits usually going to his colleague on the opposite flank, Roberto Carlos. 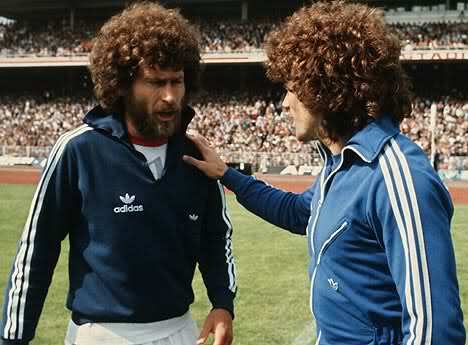 In truth, the latter was more famous for one outlandish free-kick than any real enduring quality. 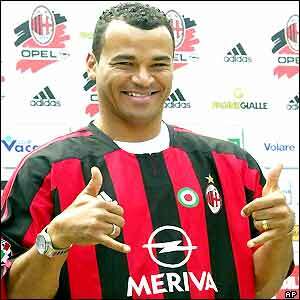 Don’t get me wrong, Carlos was an excellent player, but Cafu was one of the all-time greats. He is perhaps the best example of the type of player needed to bridge the generation gap spanning across the older game represented by the advanced-for-the-time Carlos Alberto and the now typically marauding Maicon that we know today. 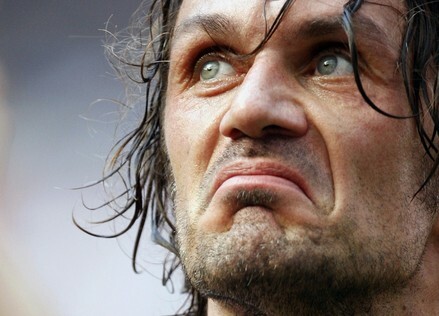 In between times, the likes of Kenny Samson, Steve Nichol and Stuart Pearce all performed similar roles for club and country on our shores, while abroad Gianluca Zambrotta, Javier Zanetti and Lilian Thuram have all shone not only for their natural athleticism, but also their technical virtuosity and their positional versatility. Often the only supplier of crosses in today’s team, the fullback must have an array of skills in his locker if he’s to succeed. Positional awareness is paramount, as is pace in abundance, the ability to use both feet a distinct advantage and perhaps most important of all, the lungs and legs to keep running at speed for a full ninety minutes. Witness Gareth Bale’s two stunning performances for Spurs against Inter in this season’s Champions League clashes. Admittedly, he’s playing as a left midfielder, but the majority of professional career has been played at fullback and he’s one rare example of a player moving further up the pitch during his career and is a converted left back now revelling in his role as a winger. Looking forward, I can see a time when fullbacks switch flanks and play on their “wrong side”. Already the vogue for wingers for a number of years, surely it can’t be long before their less illustrious opposite numbers start moving across, not only to combat the attacker cutting in on his stronger foot, but also to increase the passing options throughout the team and to allow today’s “superwingbacks” to threaten the opposition goal on their more favoured side when they themselves cut in from the flank. 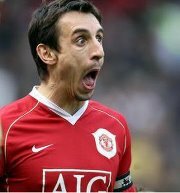 You heard it here first: place a cheeky punt now on Gary Neville to score a forty-yard screamer from the left wing with his right foot in his farewell appearance at the end of the season to seal the title for United … just don’t tell anyone he meant it as a cross.